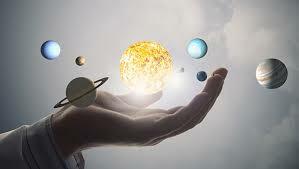 Sun is the essential part of the solar system which lies in the center and all other planets revolve around it. In mythology Sun is also known in reference to Lord Vishnu. Sun represents soul of humans and also has the power of rendering bodily services to others. In all Sun – a royal planet, has authority and financial control. In houses 1 to 5, 8,9,11 and 12 it gives good results. Houses 6,7,10 are bad for Sun. Friendly planets with Sun are Moon, Jupiter, and Mars. Saturn, Venus, Rahu and Ketu are its enemies. First house is the permanent one for the Sun whereas in the 7th one Sun is debilitated. Mars when in 6th and Ketu in 1st makes Sun gives exalted results. If the Sun is either exalted or in any auspicious house of the horoscope a person will rise very high in power and position. If a person creates any obstacles for such a person then he will surely meet his doom. If sun is in conjunction with Mars then it will give better results. It gives adverse effects on things related to the house where Sun is placed. If Sun is in first house then the person will have health issues while in second house it will affect the family and the comforts adversely. If native has sisters and daughters then sun in 6th house will not be good also if in 7th then the wife will face obstacles in comforts. In 8th house sun will save the person from death in critical situation. In 9th house the comforts of the forefathers will be destroyed and will not let native have benefit of property. The 10th house sun will have adverse effect on the father of native. In 11th house sun will increase and multiply the income of native manifold if the person is not augmented by the power of Saturn by having liquor, meat and eggs. In 12th house it destroys comforts of night hour sleep of the native. Sun will not be able to harm Venus on being aspected by Saturn as Saturn and Venus are friends. If Saturn is aspected by sun then sun will destroy Venus as both are enemies naturally.